At GTC 2014, NVIDIA unveiled their most high-performance graphics card, the GeForce GTX Titan Z powered with the GK110 core architecture. During the announcement, NVIDIA didn’t confirm the launch schedule for their upcoming Goliath but GDM.OR.JP has revealed that NVIDIA’s next dual-chip performance card is set for launch on 29th April. Built with the same heart and DNA of NVIDIA’s GeForce Titan and Titan Black Edition, the GeForce GTX Titan Z is an engineering marvel with two chips under its hood that pack 7.1 billion transistors each. 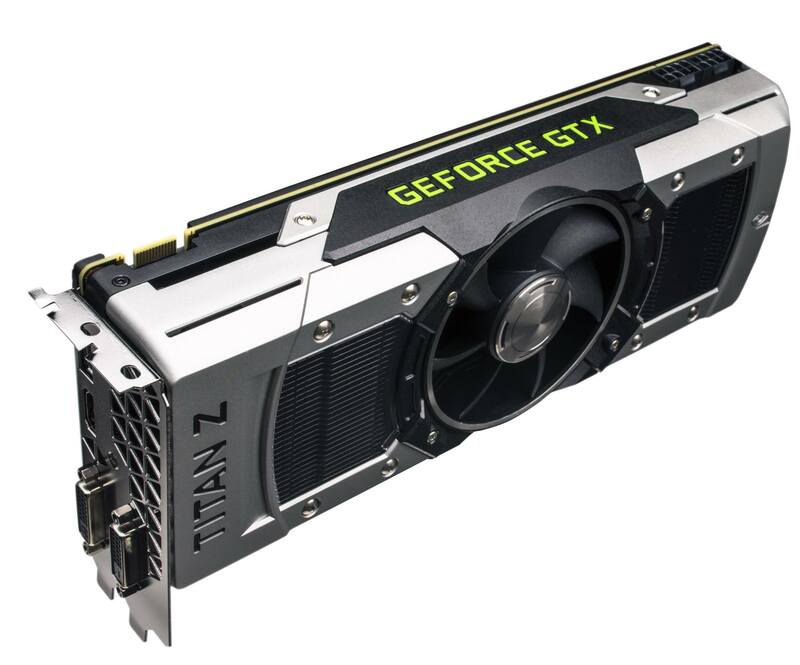 The GeForce GTX Titan Z will replace the GeForce GTX 690 boasting dual-GK110 cores compared to dual-GK104 cores on its predecessor. 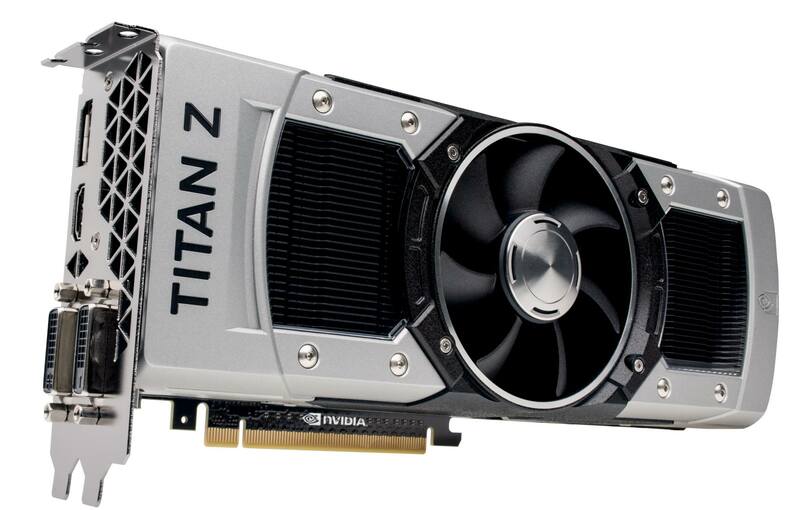 The GeForce GTX Titan Z will feature two GK110 cores with 5760 Cuda Cores, 448 TMUs and 96 ROPs. The card features a 384-bit x 2 bus which will run across a massive 12 GB VRAM. This is an impressive feature giving developers and games an unprecedented amount of VRAM for use. The memory is clocked at 7 GHz effective clock speed. The core clock speeds are not confirmed but the GeForce GTX Titan Z features a maximum single precision performance of 8 TFlops which is really impressive. 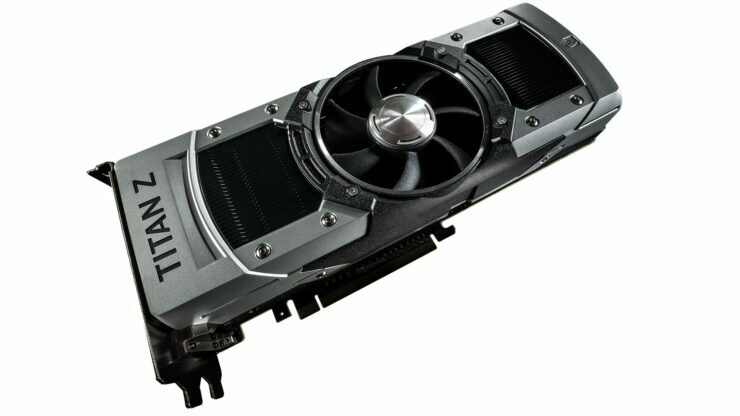 The design of the GeForce GTX Titan Z is beefier compared to the GeForce GTX 690. The design is similar but the card takes up three slots to provide optimal thermals with the Dual GK110 cores in action. The card will feature dual black colored Vapor chambers placed on top of each GK110 core while a large cooler fan will push air from the internal assembly, cooling the components and letting the heat out of the front exhaust. The display outputs include Dual-DVI, HDMI and a Display Port. The card has a single SLI gold finger to enable two of these cards to function as multiple GPUs. The card is fed through dual 8-Pin connectors which represent a TDP of 375W. The GeForce GTX Titan Z will end up with a MSRP of $2999 US which is twice to what AMD is asking for their flag ship Radeon R9 295X2. It remains to be seen whether the GeForce GTX Titan Z will be able to hold with the beast that is Vesuvius itself. The AMD Radeon R9 295X2 also comes with a hybrid cooler (Project Hydra) which provides better cooling then cards running on air cooling but the final products can only be compared once the reviews hit the web. 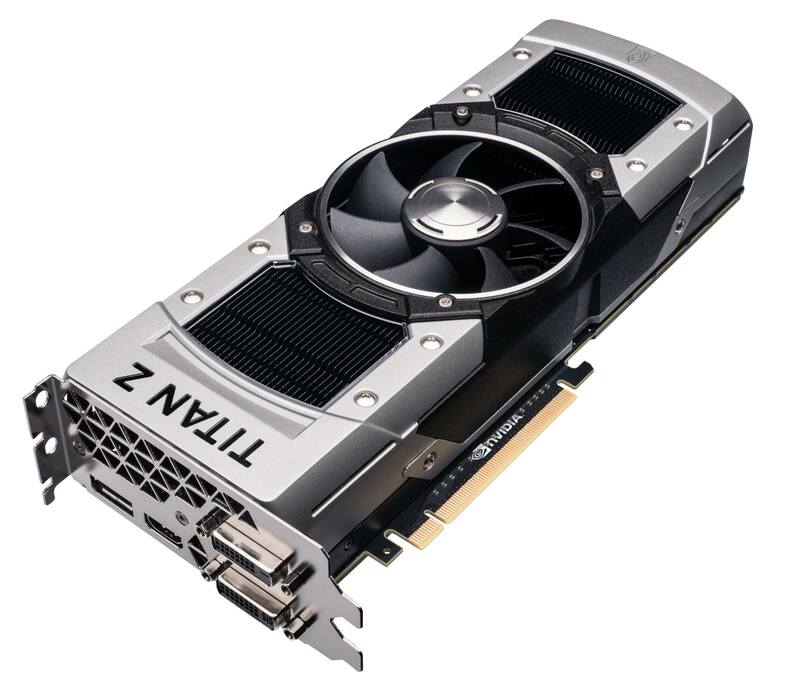 It will be seen how well does NVIDIA’s GeForce GTX Titan Z keeps up in scaling, thermals and power consumption if it has to be seen a worthy successor to the GeForce GTX 690 and a worthy competitor to the AMD Radeon R9 295X2.